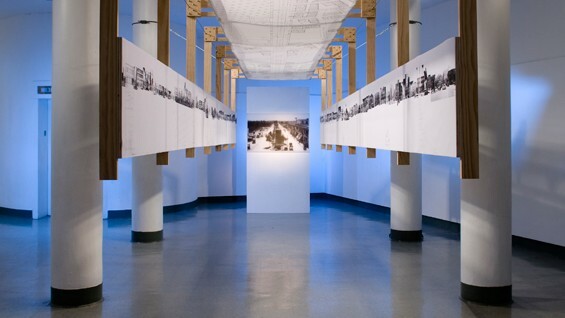 Installation view of Dorit Aviv’s (AR’09), Jaffa | 1915–17 Jamal Pasha Boulevard | 1918–48 King George Avenue | 1949-2008 Jerusalem Boulevard. A walk through Jerusalem Boulevard, the main street and defining axis of Modernism in Jaffa, reveals a forceful meeting of opposing voices. In 1915, Jaffa’s Ottoman governor ordered the paving of a grand boulevard, outside of the Old City’s walls, which laid the infrastructure for a new urban center. Through the First World War and the British colonization of Palestine, the Boulevard persisted in developing. Latent in the architecture of the street is the collision between the force of Modernism and the architectural language of a place with ancient history and a strong tradition of structure and form. Change in regimes, immigration, and new construction systems, and the struggle to maintain autonomy and to strive for self-definition, construct the identity of the boulevard in a conversation of different voices. 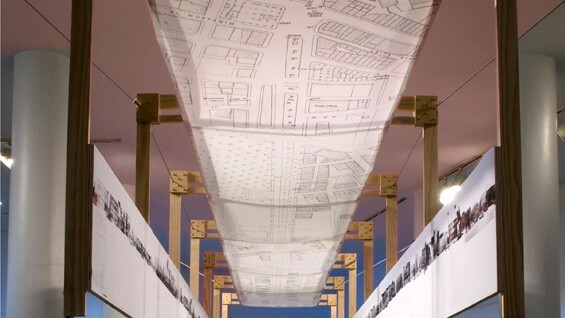 This project reconstructs a walk through the Boulevard using drawing, photography and sound. 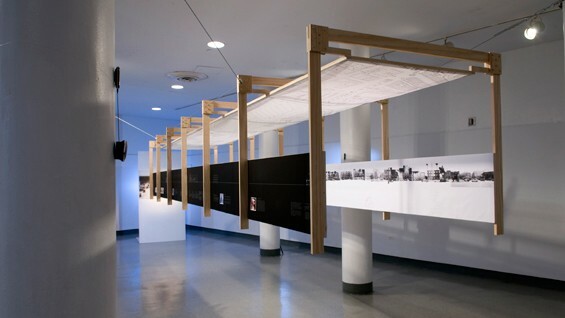 As the urban condition of the Boulevard is now physically being demolished in Jaffa, its documentation through research and exhibition allows it to remain present in our consciousness.